As your midwife, my greatest intention is to stand with you and your family by supporting your choices in the care you receive. I have many years of study and experience to offer to you on your journey. 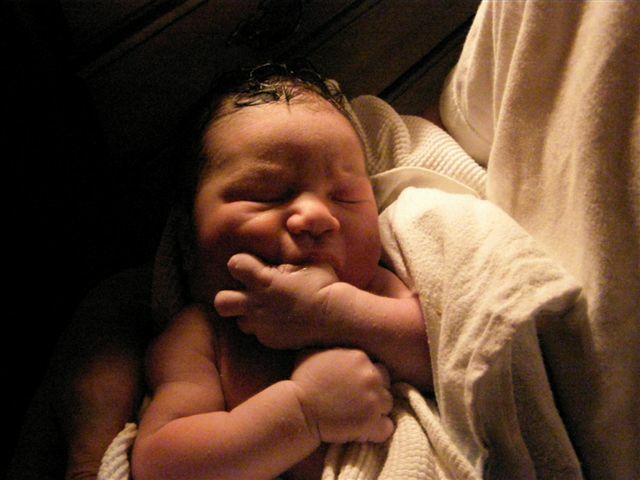 I offer compassionate, individualized, holistic midwifery care. I seek to support families to tap deeply into their own knowing through their prenatal care and birth. By accessing your internal compass, my experience is that you are then more able to deeply trust yourself to parent your children from this place of knowing. That’s what birth is after all, right? It’s not just the birth of the baby. It’s the birth of you as parents and of your unique family. The root of every culture’s success lies in it’s birthing practices and in the way we tend to mother’s and families. Let’s create a culture based on love and trust, peace and compassion, empowerment and respect. I prefer in-home prenatal visits so that I can get to know your family in your home! I do have an office, if that is your preference. Our visits are usually monthly until 28 weeks, then every two weeks until 36 weeks, then every week until 41 weeks where I begin to see you twice a week. In your prenatal visits we spend a lot of time getting to know one another as well as monitoring you and baby for health and wellness. I offer Maya abdominal therapy at every prenatal as well as herbal and nutritional consults as needed. I am able to provide lab services in your home, and order ultrasounds if you choose. I am on call 24/7 from the time we begin care, until 6 weeks postpartum. If I will be out of town for any reason, I will have another midwife on call to support you should the need arise. I usually arrive at your birth once you are in active labor. I am happy to support you in your unfolding as parents to your new baby. I take my cues from you! I bring with me experience as well as openness. Every birth is so unique, and I will meet you where you are at. Whether you birth in the water or on land, in your bed or in your living room…I follow you and support you. I monitor baby and you to be sure that everyone is healthy and well. I stay through the birth of your baby and generally for about 3 hours postpartum. I bring with me a rebozo, homeopathy and herbs. I also carry oxygen, resuscitation equipment, suture materials, anti-hemorrhagic medications and IV fluids. I come to your home at 1 day, 3 days, 1 week, 2 weeks and 6 weeks. During these visits I monitor the health and well being of mom and baby. I also offer mother roasting, placenta encapsulation, Maya abdominal massage, and yoni steams as needed as part of your care. I also offer a 3 month appointment in my Boulder office. At this appointment I offer a Maya abdominal therapy session as well as a yoni steam. It’s a sweet time to reflect and to catch up on the last couple months of parenthood. The Midwife completes her work by doing nothing. Things leave and she lets them go. Facilitating, yet laying no claim. And when her work is done, she forgets about it, and so it lasts forever!